Click the button below to add the Clinical Massage Fusion (75 Minutes) to your wish list. If you are in any type of muscle discomfort, then this could be the treatment for you. Using a blend of modern scientific Andullation® equipment, nutrition, lifestyle advice and Eastern & Western massage techniques, our Advanced Clinical Massage Therapist and Personal Wellness Coach, Paul Hopfensperger, may be able to help reduce the discomfort you are experiencing in between 1 and 6 Clinical Massage Fusion® sessions. Many of the toolbox of techniques, therapies and lifestyle changes used in Clinical Massage Fusion® have been clinically shown to help reduce discomfort in all areas of the body. Traditional western medicine - this involves visiting your G.P. who will treat the problem with pharmacology (drugs), surgery or referral to an allied NHS practitioner. Osteopathy - which primarily works through the neuro-musculo-skeletal system. Chiropractic - a treatment which is primarily concerned with the diagnosis, treatment and prevention of mechanical disorders of the musculoskeletal system. Physical Therapy (‘Physio’) - which uses physical exercises and movement to help restore healthy function to the muscles and joints, as well as use of such treatments as hydrotherapy, ultrasound etc. Clinical Massage Fusion® - What is it? At Body and Mind Studio®, if you are experiencing any type of acute or chronic muscle discomfort, we directly manipulate the soft tissues using Advanced Clinical Massage techniques, Andullation® Therapy Massage, which works at the cellular level, and an assortment of other therapies and natural, herbal creams. At Body and Mind Studio® we call our unique system - Clinical Massage Fusion® and are the only clinic in the UK who uses this unique treatment. 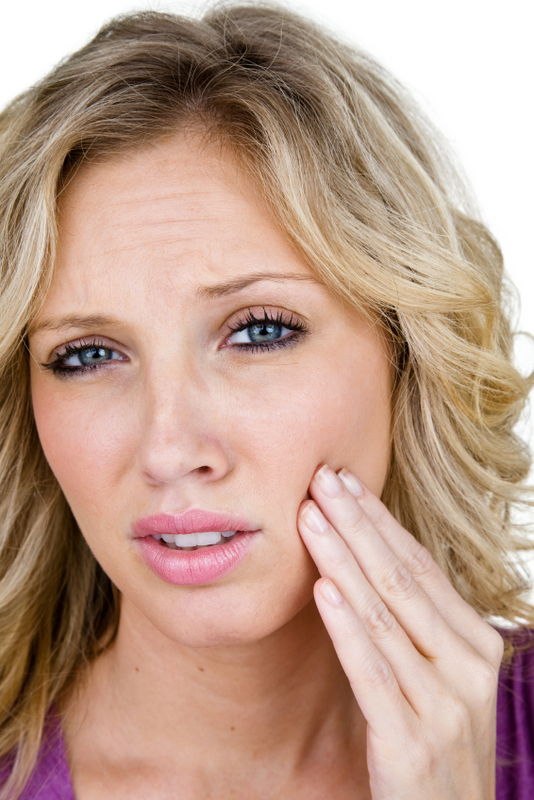 Above: Muscle discomfort can be experienced in all muscles in the body, even the face and jaw. Amma Fusion/Massage Fusion - this uses an exciting blend of the most effective Eastern massage techniques and draws from disciplines such as Acupressure, Table Shiatsu, Tuina and Traditional Chinese Medicine (TCM). Power Effleurage - a highly powerful technique that may help release muscle tension and induce deep relaxation and nurturing into the receiver. Sports massage - which is believed to stimulate circulation of blood and lymph fluids, but also uses many techniches used in Swedish massage as well as other techniques including trigger point therapy (see below) to break down adhesions (knots in the muscles), myofascial release (see below) and stretching (see below) to increase the range of motion for example as may be required in the treatment of a ‘Frozen Shoulder’. Trigger Point Therapy (TPT) - one of the great discoveries of Western bodywork and is the basis of techniques such as neuromuscular therapy (NMT). TPT was pioneered by Dr. Janet G. Travell (1901-97) in the 1950’s and who, as personal physician to two U.S. Presidents, famously treated President John F. Kennedy who was injured in World War 2. Myofascial Release (MFR) - which aims to restore mobility in the fascia and soften connective tissue that has become rigid. A healthy fascia system is integral to good health. Stretching - a variety of stretching techniques are used during the Clinical Massage Fusion® treatment. Teaching Self Care Strategies - We will suggest ways that you can help yourself to reduce your discomfort through associated treatments and home disciplines including, but not limited to, lifestyle changes, home stretching, Yoga and some Chinese Nutritional Therapy/Generative Medicine principles. We will also explain the importance of regular massage to help keep your body in peak condition and to help reduce the chances of your discomfort returning in the future. Body and Mind Studio® were one of the first companies in the United Kingdom to introduce the revolutionary ANDUMEDIC® 3 to compliment our range of massage and personal wellness services, and is an important component of Clinical Massage Fusion®. Just a 15 minute treatment per day has been clinically proven to help assist with many acute and chronic conditions. The ANDUMEDIC® is a Type IIa Medically Approved Device in Germany. Andullation® Therapy Massage - The ANDUMEDIC® 3 is a medically approved device which uses Andullation® Therapy with great effect. Meridian Stretch Massage is based on Chinese Acupressure Massage, Korean Meridian Massage (Kyung-Rak) and Japanese Shiatsu techniques using Western anatomy and physiology. This treatment works on the entire body to relax and energise through meridian stretch and uses gentle finger and palm pressure on the meridians. Eastern doctors have observed and taught the existence of meridians on the surface of the human body for over five thousand years. They believe that meridians are lines of flowing energy streams which control our every function. When this energy or ‘Chi’ is vibrant and flowing appropriately we can enjoy good spirits and excellent health. If the meridians are blocked then the energy cannot flow and our mental attitude and physical health can suffer. These symptoms are often not due to pathological changes, but can be due to energy imbalances. Fisiocrem™ SOLUGEL, an herbal massage cream containing the well known herbs Arnica, Hypericum, Calendula and Melaleuca is used towards the end of a Clinical Massage Fusion® session. Kinesio Taping - Elastic therapeutic muscle taping. All techniques and treatments are selectively combined by your therapist, who treating the client as a unique individual, approaches persistently shortened soft tissues with a view of restoring their natural function using the above treatments and therapies, while keeping the whole client in mind. 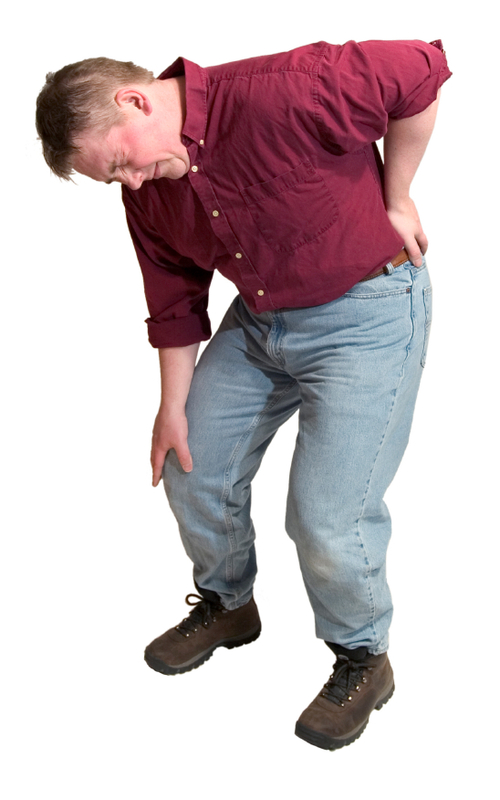 Above: Muscle discomfort in the lower back is a common occurrence for many people. It is important to note that we do not diagnose conditions at Body and Mind Studio®. We are trained and fully insured to use all aspects of our Clinical Massage Fusion® components, and we only work on the symptoms presented to us with techniques we are trained to use. For those looking for some clinical evidence of how these amazing techniques work, further information can be found by clicking here. Clinical Massage Fusion® is a registered trademark of Body and Mind Studio Limited. I have suffered from 'Limited Systemic Sclerosis' all of my life and linked with this I am a long time Raynard's sufferer. I also have nerve damage to my right foot which causes me to limp and have poor posture which causes me to have back ache. I came to Body and Mind Studio with an open mind having tried many alternative therapies and massages to alleviate my pain. To date, none have been successful - until now! Having had 4 sessions using the ANDUMEDIC 3 and the Advanced Clinical Massage treatment, I feel invigorated, and am in less pain. I'm not thinking about how I am feeling all the time (which was normally rubbish). I used to get up in the morning, and wonder how I was going to get through the day, now I have a new found energy and simply can't believe it! Thank you for making life more enjoyable for me again. No pain since October 2015! I first contacted Paul in September 2015, after a frustrating nine months of pain while trying to run. My physiotherapist had recommended that I receive a sports massage as my calves were tight, and this would help with my recovery. I arrived at Paul's Body and Mind Studio completely fed up, after having received a half-hearted massage at another therapist in the town. When Paul told me he would be able to help me out - offering a full massage at my first appointment, unlike so many others in the town - I was so relieved I cried! After the first session alone, my calves were already much less tight, and my physiotherapist couldn't believe how much more flexible my feet were. I continued on a course of weekly sessions, during which we also found additional trigger points which were causing pain in my shins - tackling two birds with one stone! I now have monthly massages because I'm now completely aware of how important it is to keep on top of your body and its wellbeing! I haven't had any pain since October 2015 now and have been able to bring my fitness right back up to its previous levels. I want to thank Paul and completely recommend him, because although his methods may seem unconventional (for me, someone who trusted physiotherapy so much! ), they do work! Thank you Paul! Paul fixed my RSI pain in one treatment! Having attended Body and Mind Studio with RSI/Carpal Tunnel Syndrome and in a splint last night, this is just a quick message to say the hand/wrist feels MUCH better this morning! Didn't use the splint overnight. Had some Dang Gui last night too. See you next week! I now have undisturbed sleep! Thank you for 4 nights undisturbed sleep after my last treatment on my right shoulder pain! Hi Paul, just wanted to let you know that the Advanced Clinical Massage earlier was a complete success! Knee pain has calmed down about 90%!... I was able to teach a class tonight which I couldn't do last week, and the clicking/crunching is much, much less severe now. It has made a huge difference, thank you!! Paul helped my slipped disc pain! Paul, worked an absolute miracle on my back I had a slipped disc and was in agony not able to walk more than a few feet with out stooping by the time my 1st treatment was over I was able to walk and over the next visits it got better and better. All I have to add is thank you. No one noes what back pain is really like till you have it ! and now it has gone thank again.